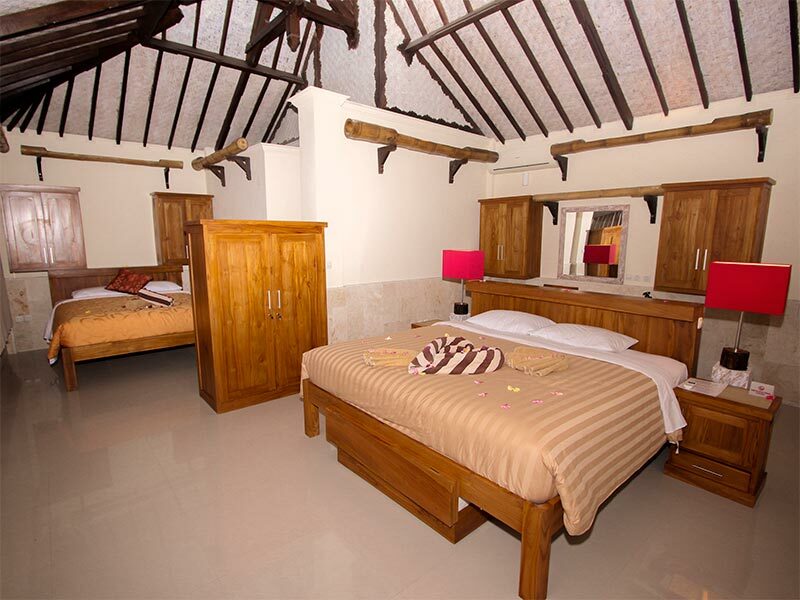 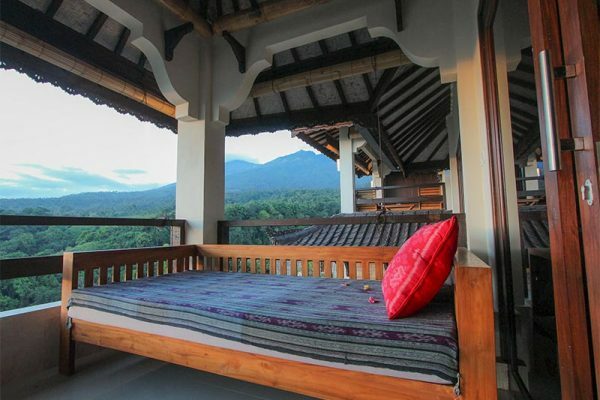 Our Luxury Triple rooms are all located on the upper floor and each has a private terrace with stunning views both to Mount Rinjani, and to the Ocean. 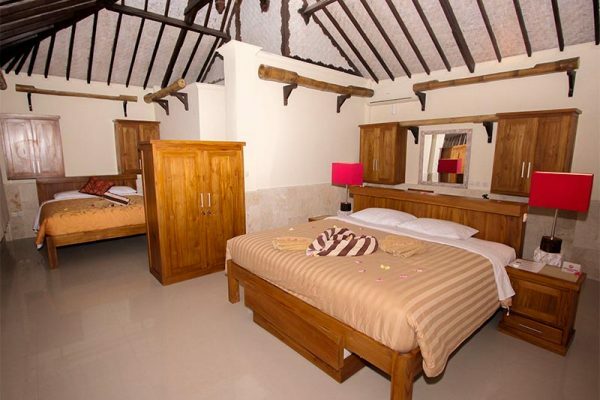 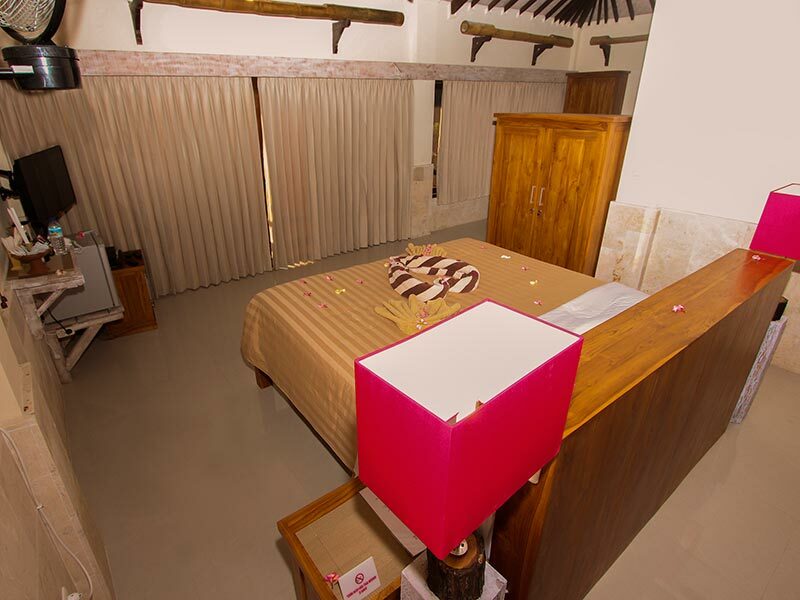 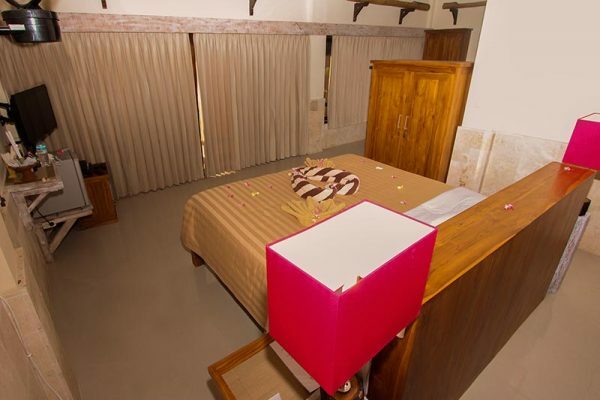 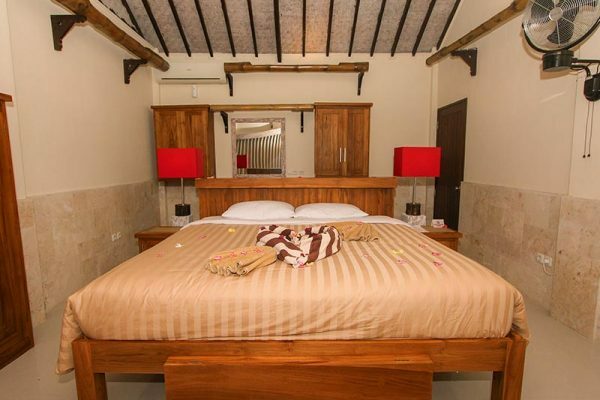 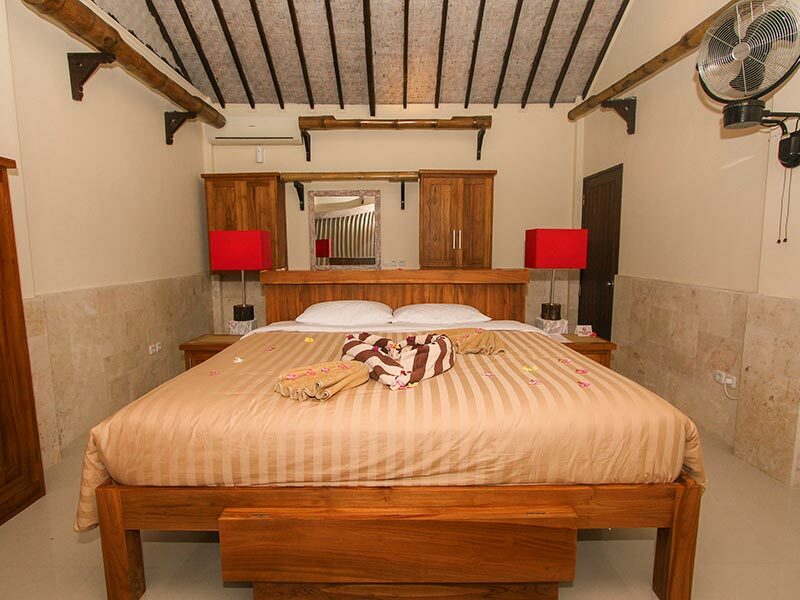 The bedroom has a King-size double bed and a single bed so can accommodate 3 people. 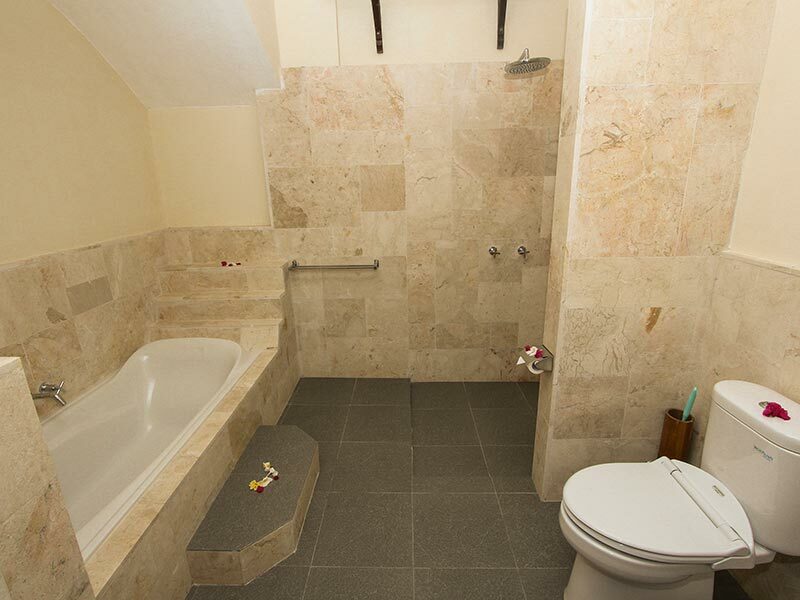 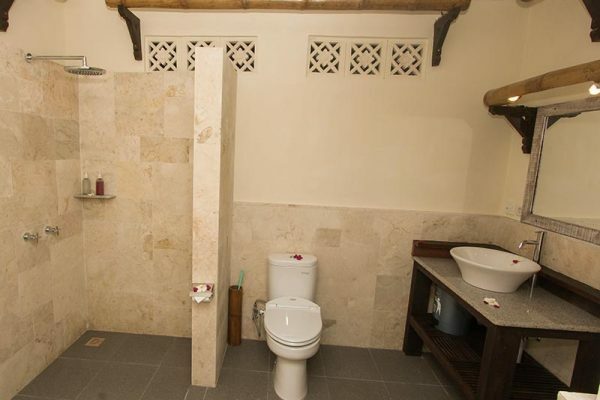 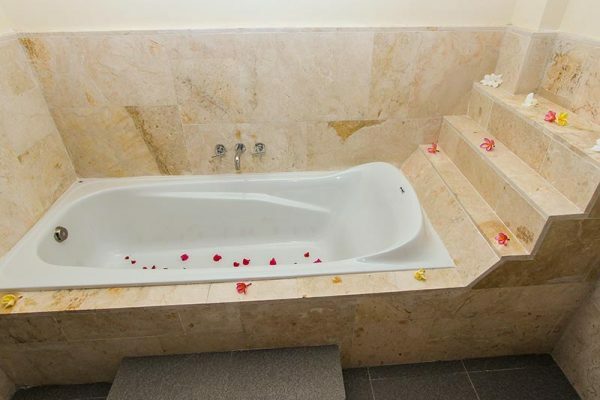 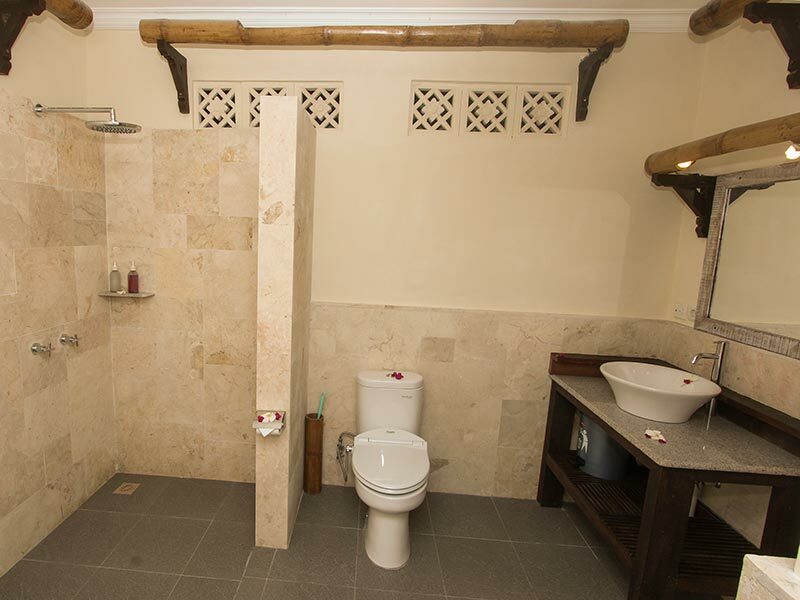 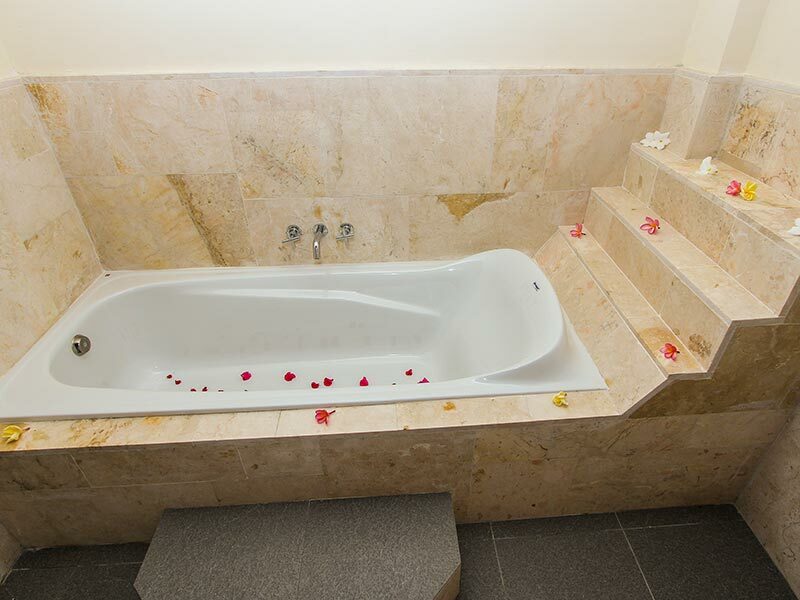 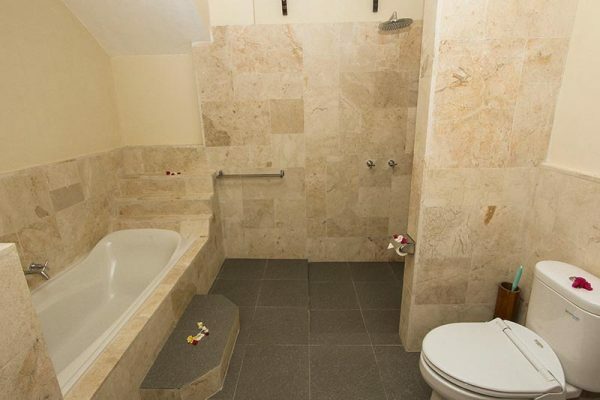 The ensuite indoor bathroom features a bath tub and shower with hot water, Western toilet and complimentary bathroom toiletries. 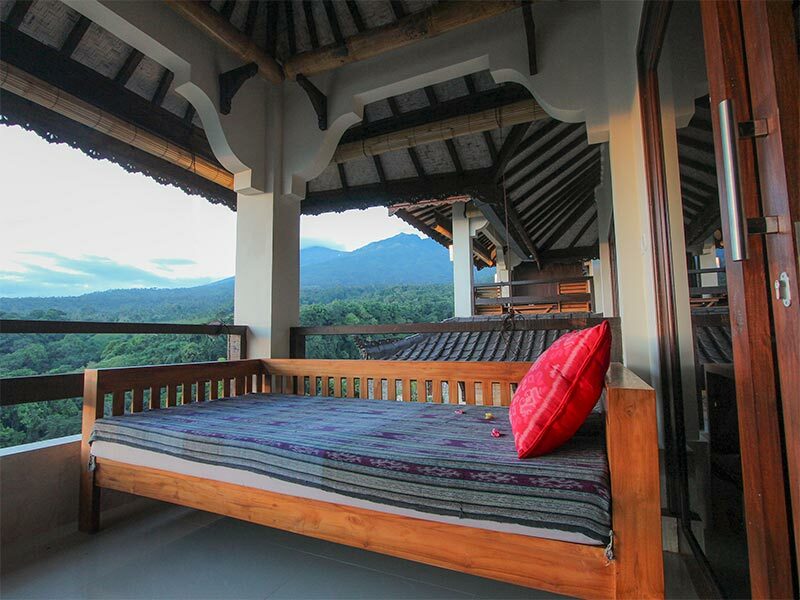 The terrace features a day bed and a table and chairs for relaxing, dining and enjoying the magnificent view. 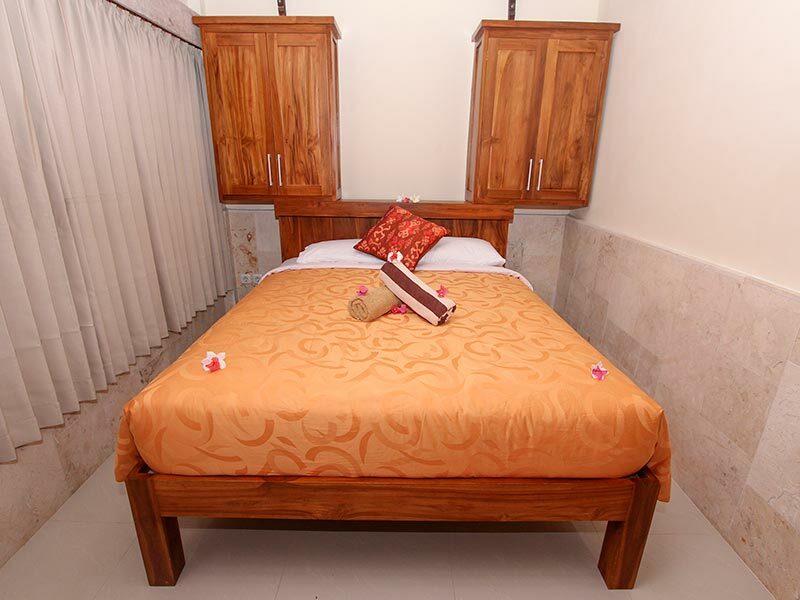 Breakfast for 3 guests is included in the room rate. 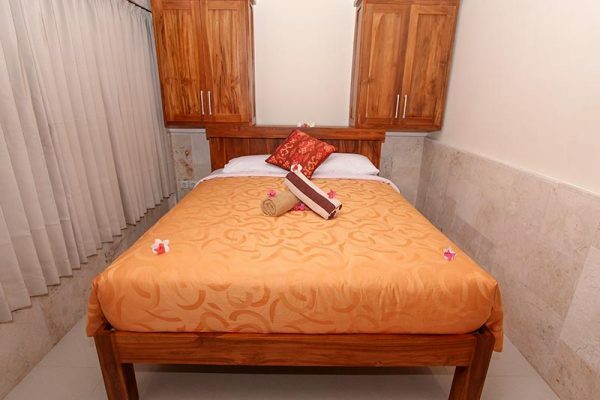 Extra bed is available on request.